BOSTON (August, 23, 2018) The Massachusetts Department of Public Health (DPH) has confirmed a case of measles which was diagnosed at Lahey Hospital & Medical Center (LHMC). The individual, during their infectious period, was in a number of locations that could have resulted in exposures to other people. Measles is very contagious and people who are not immune and visited the locations on the below specified dates may be at risk for developing measles or may now be developing symptoms of the disease. Anyone who visited these locations on any of these dates during the times listed is advised to contact their health care provider to confirm their immunization status. DPH urges all those who do not know their measles immunization status to get vaccinated with at least one dose of Measles Mumps and Rubella (MMR) vaccine. Measles vaccine given within 72 hours of exposure may prevent measles disease, and vaccination beyond this window will provide protection from subsequent exposures. Lahey hospital has been reaching out to individuals at high risk of exposure, and is collaborating with DPH and local health authorities to ensure that all exposed individuals have this information. Logan Airport Terminal B Boston 8/15, 8:30 a.m. – 10:30 a.m.
Lexington High School Library 251 Waltham St., Lexington 8/16, 3:30 p.m. – 5:30 p.m.
Irving H. Mabee Town Pool Complex 80 Worthen Rd., Lexington 8/19, 12:00 p.m. – 2:00 p.m.
Lahey Outpatient Center, Lexington 16 Hayden Ave., Lexington 8/20, 11:30 a.m. – 3:00 p.m.
LHMC, Burlington Emergency Department 8/20, 1:00 p.m. – 10:30 p.m.
LHMC, Burlington Inpatient Units 7 Central, 6 Central and 5 Central (ICU and CCU) 8/20 from 8:00 p.m. to 8/21 at 9:00 p.m.
Those who were exposed and begin to develop symptoms of measles should call their healthcare provider before visiting an office, clinic or emergency department. Visiting a healthcare facility may put others at risk and should be avoided. Anyone who has had measles in the past or has received two doses of the vaccine is unlikely to develop measles even if exposed. Early symptoms of measles occur 10 days to 2 weeks after exposure and may resemble a cold (with fever, cough, runny nose, and red eyes) and a rash occurs on the skin 2-4 days after the initial symptoms develop. The rash usually appears first on the head and then moves downward. The rash typically lasts a few days and then disappears in the same order. 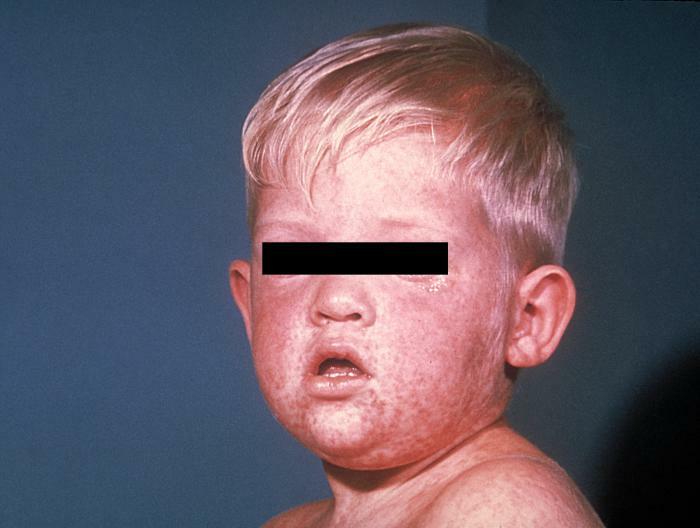 People with measles may be contagious up to four days before the rash appears and for four days after the day the rash appears. Adults. Adults should have at least one dose of MMR vaccine. Certain groups at high risk need two doses of MMR, such as international travelers, health care workers, and college students. Adults born in the U.S. before 1957 are considered to be immune to measles from past exposures. Measles is a highly contagious respiratory disease spread through the secretions of a an infected person. Droplets can remain suspended in the air and/or remain on a desk, door knob etc. for 2 hours. Simply by breathing the air where an infected person has coughed or sneezed, or by touching a surface they have contaminated and then touching your nose or mouth you can be infected with the measles virus if you haven’t had the measles or been vaccinated. Measles can have serious complications such as swelling of the brain and pneumonia. Death occurs in .2% of cases. Time from exposure to initial symptoms (fever, runny nose, cough, sore throat, red eyes) is 10-12 days. A rash appears at the hairline, face, and neck 3-5 days after initial symptoms and then spreads to the trunk, hands, and feet. A measles infected person is contagious from 4 days before to 4 days after a rash appears. They could be “spreading the virus” before they even realize they have the measles. PHIL1150 The MMR vaccine is routinely given at 12 months of age with a second dose given at 4-6 years. Babies younger than 12 months, patients whose immune systems are not functioning normally (those on chemotherapy, transplants, the elderly, HIV) and those who have not been vaccinated and who have not had the disease, are at high risk for contracting measles. By vaccinating healthy individuals in society we can protect those people who are unable to receive the vaccine. If you have questions regarding your immunization status please call your primary physician. MMR is one of the vaccines the Sandwich Public Health Nursing Department offers routinely. It’s not surprising that Massachusetts has its first confirmed case of Enterovirus D 68 in an 8yo girl from southeastern Mass. The child does have asthma and has been discharged from the hospital. Pediatric units have been full with children with respiratory distress, wheezing, cough, runny nose, fever, and rashes. Children with asthma are at higher risk. DPH State Epidemiologist Dr. Alfred DeMaria underscored the importance of simple, common-sense steps such as hand-washing to reduce the spread of illness. “As with any other respiratory virus, hand washing is the key to reduce spread, use soap and warm water for 20 seconds” said Dr. DeMaria. On 9/18 the UN Security Council will hold an emergency meeting to discuss the outbreak. Dr. Tom Frieden, the director of the Centers for Disease Control, stated that there was a small window of opportunity to stop the Ebola epidemic. Nearly 40% of the cases have occurred during the past 3 weeks with healthcare facilities filled beyond capacity, a devastating shortage of healthcare workers and medical supplies, and now a shortage of food. Currently, the World Health Organization believes that the count of 3,069 cases and 1,552 deaths is an under count. Research continues on the experimental monoclonal antibody, ZMapp, which has been used on a handful of patients. In a Nature study, 18 monkeys infected with the virus and then given ZMapp survived. The number of Ebola cases continues to increase. The World Health Organization http://www.who.int/csr/don/2014_08_20_ebola/en/ states that between August 17th and August 18th there were 221 new cases and 106 deaths. That brings the total number of cases to 2473 and the deaths to 1350. Most of the new cases were attributed to lack of appropriate infection prevention when in contact with the bodily fluids of an infected patient. While the 2 American patients at Emory University seem to be improving, the overall situation in Africa is worsening, prompting the Centers for Disease Control to move its Emergency Operations Center to its highest activation level. This may be due, in part, to the emergence of several Ebola cases in Lagos, Nigeria, a city of 20 million people. The World Health Organization updated the Ebola numbers to 1,711 cases with 932 deaths. The experimental drug, ZMapp, a mixture of 3 antibodies which was given to the American medical workers in Liberia, is now part of a worldwide discussion about the ethics of giving experimental drugs, not approved by any government agencies, to critically ill patients. To complicate the issue further, if the decision were made to give the limited number of experimental drugs available, which patients in which countries would receive them? The World Health Organization is convening a group of ethicists to discuss these very issues. The CDC issued a Level 3 travel warning yesterday for non essential travel to Liberia, Guinea, and Sierra Leone. The number of cases of Ebola Virus continues to increase and the hospitals are understaffed and overwhelmed with critically ill patients. Yesterday, the United States Centers for Disease Control and Prevention issued an advisory for US health care workers to consider Ebola virus, and possible isolation, for those patients presenting with viral symptoms and returning from affected countries within the past 21 days. Ebola virus is an acute illness spread through blood and body fluids with an incubation period from 2-21 days. Symptoms include headache, muscle pain, intense weakness, nausea, vomiting, impaired kidney and liver function, and in some cases, internal and external bleeding. The disease so far has infected over 1000 people in West Africa and killed more than 660. The fruit bat is considered a likely reservoir and infected animals, which are handled or eaten by locals, the way the virus moves from animals to humans. Humans then contract the disease by coming in contact with bodily fluids such as blood, sweat, urine, breast milk, vomit, and diarrhea of persons who have already contracted the disease. 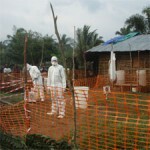 The disease is spreading quickly in Sierra Leone, Liberia, and Guinea because of multiple issues: lack of personal protective equipment such as masks, gloves, and gowns; small numbers of staff and isolation units; and the beliefs of some locals that the medical professionals themselves are spreading the disease. While several vaccines are being tested, none are on the market at this time and intravenous fluids and fever medications are the only treatment options. You may have heard rumors of this virus! Chikungunya virus is transmitted by the Aedes mosquito which can be found in the northeast U.S. The virus was originally discovered in Africa and Asia but has now found its way to the Caribbean and Florida. Over 350,000 people in the Caribbean are infected with this virus. As of today, there may be 2 locally acquired cases in the continental United States. Four people in the Boston area have been diagnosed with chikungunya, a viral disease spread to people by way of mosquitoes. Typically, outbreaks of the disease are restricted to Africa, Asia, Europe and the Indian and Pacific Oceans. But as of late, there has been an increase in reported cases in the Caribbean islands, which some believe may eventually lead to more cases in the U.S. The virus is spread when a mosquito bites an infected patient and then bites a healthy person – passing the virus along to them. The majority of infected people become symptomatic within 3-7 days. Symptoms usually include acute onset fever, headache, and debilitating joint pain, which often occurs in the hands and feet. Other symptoms may include; muscle pain, conjunctivitis, nausea and vomiting, and rash. Although acute symptoms can resolve in 7-10 days, joint pain can last months to years. There is no specific vaccine or treatment for this virus but rest, fluids, and NSAIDS (aspirin, Aleve, Ibuprofen) can ease the pain. The best protection is to: remain indoors at dawn or dusk when mosquitoes are most active; wear long sleeves and long pants; apply DEET to bare skin http://www.cdc.gov/malaria/toolkit/DEET.pdf ; empty containers and drain standing water, and keep window screens in good repair. The WNV was first detected in North America in 1999. Symptoms may occur 2-6 days after being bitten. (70% of people infected do not go on to develop symptoms). Those who do have symptoms may have fever, headache, body aches, vomiting, diarrhea, and rash. Although most people recover, fatigue and weakness can last weeks to months. See a health care provider if you have any of the above symptoms. There are no vaccines or medications to specifically treat this virus but over the counter pain relievers can reduce fever and relieve pain. Hepatitis C is a contagious liver disease caused by a virus. It is spread primarily through contact with the blood of an infected person. It is classified as either acute or chronic. Acute disease can lead to chronic disease 75% of the time. Testing has been available since 1990.